Japan’s leading proponent for using accelerator technology to provide cutting-edge computational performance, he is a Full Professor at the Global Scientific Information and Computing Center of Tokyo Institute of Technology (GSIC). Since 2001 he was the lead developer of the Institute’s TSUBAME series of supercomputers, which have included the 4th fastest in the world on the Top500. It has a peak of 2,288 Tflops and in June 2011 ranked 5th in the world. It was developed in collaboration with NEC and HP, and has 1,400 nodes using both HP Proliant and NVIDIA Tesla processors. In addition, he led the development of the recent TSUBAME-KFC becoming #1 in the world for both Green500 and Green Graph 500 in November 2013. 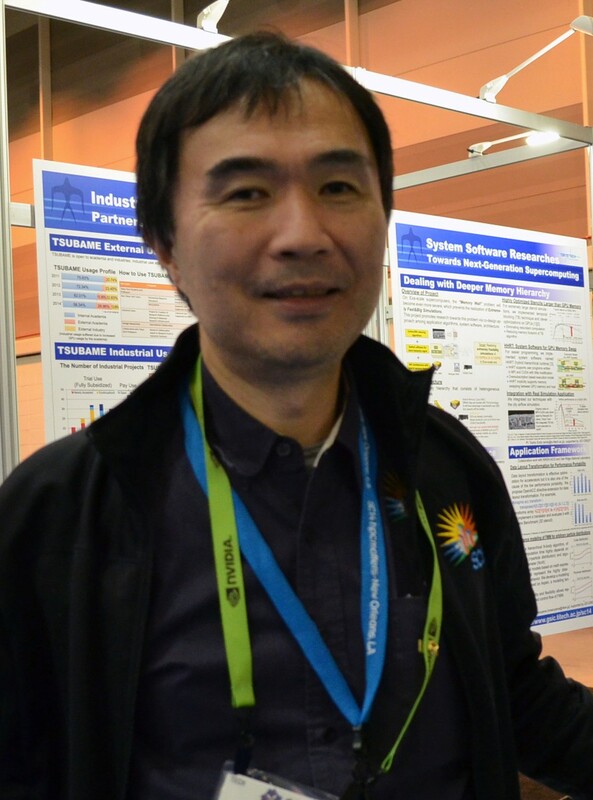 He also co-led the Japanese national grid project NAREGI from 2003 to 2007, and is currently leading several government projects, such as the MEXT Green Supercomputing and JSPS Billion-Scale Supercomputer Resilience, as well as the MEXT/JST Feasibility study for Exascale. He received his Ph.D. in Computer Science from the University of Tokyo in 1993. He has chaired many ACM/IEEE conferences, including Technical Papers at SC'09, Community at SC'11 , and the overall Program at SC'13. He is a fellow of the ACM and European ISC. He is the recipient of many awards including: in 1995 he received the IEEE Visual Languages Symposium Best Paper Award; the JSPS Prize from the Japan Society for Promotion of Science in 2006, awarded by his Highness Prince Akishinomiya; the ACM Gordon Bell Prize for 2011; and the Commendation for Science and Technology by the Minister of Education, Culture, Sports, Science and Technology in 2012. In 2014 he was the Sidney Fernbach Award Recipient, "For his work on software systems for high-performance computing on advanced infrastructural platforms, large-scale supercomputers, and heterogeneous GPU/CPU supercomputers."